This article was written by Mama Bear and appeared first on Challenged Survival. I have been eye-balling this Amish Poor Man’s Steak recipe ever since I bought the 80 pounds of ground beef a week or so ago and I happened to have had 30 pounds of ground remaining I thought…Go For It! Now this recipe has everything in it the food police says not to can. I did a lot of research on canning some things and have come to my own conclusion that this recipe is not going to kill me or my family. I knew I did not own anything large enough to mix up all the ingredients so I went down to the Dollar General and bought a 35 quart Sterlite Container. After a little soap, bleach and drying I was ready. All of these items were placed in my container as they were measured. Now I know what a chef in a restaurant feels like adding huge amounts of ingredients. The recipe just reads…salt and pepper. Don’t you just hate it when that happens? So I added salt and pepper. I don’t exactly remember how I came up with my equation but it worked out pretty well at the time. I figured the saltine crackers are salty and the condensed mushroom soup is going to be salty so I added what I thought would be right… Just in case you want to be as adventurous as me and try this recipe. Now I warn you… Run you a sink of warm/hot water near where you are working. When you start mixing and mixing and mixing all of these cold ingredients with your washed, cleaned and naked hands you are going to want to plunge them into something very warm every few minutes. My hands were burning with cold. At this point I was feeling sorry for the chefs in restaurants who have to do this kind of stuff everyday. I didn’t get a picture of the mixing itself as my hands at this point was to numb with cold to hold the camera but this is what everything looked like when I started making the steak patties. I shoved all the ingredients to one side of the container and placed my patties on the other side using waxed paper to separate the stacks to prevent them from sticking. 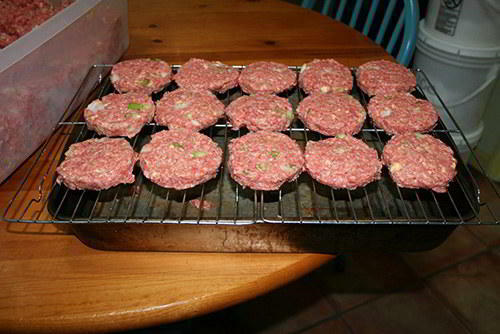 I used the wide mouth rim and lid again to form the patties. 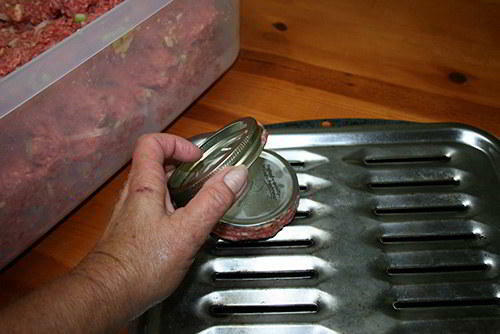 Using this method will ensure the patties will fit into the wide mouth canning jars. I only have one broiling pan and I have a lot, I mean a lot of meat to cook so I made another by using a large roasting pan with my cake racks over it. The Amish recipe reads to bake on cookie sheets but I want to drain as much fat as possible from them. 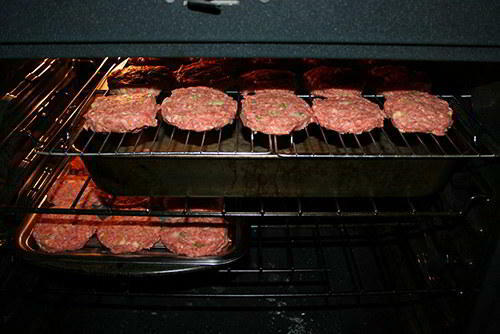 Between the broiling pan and the roasting pan, I could cook 27 patties at once. I baked in preheated 375 degree oven for 35 minutes and alternated the pans about half way through cooking time. It took me a little over 4 hours to cook them all. I piled up 2 huge roasting pan and covered them with tinfoil and placed them in the refrigerator as they came from the oven. 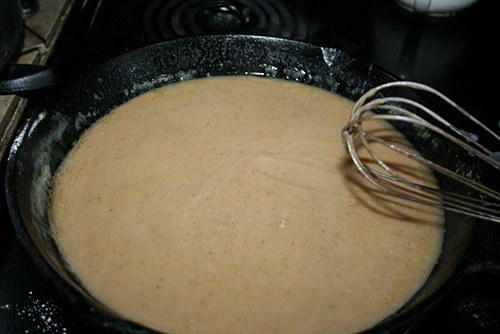 When my last batch was baking (late Friday afternoon by this time) I started making the gravy. I had strained off some of the fat from the broiler and roasting pan and set aside to make the brown pan gravy. Trust me….save much more than this. I put 1/2 cup of the strained fat into a skillet and heated over medium heat until hot. Next I added 1/2 cup of plain flour. 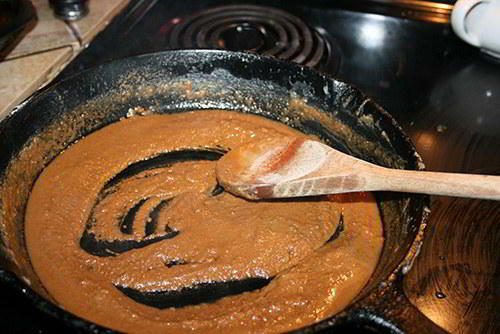 The secret to making a good gravy base is to stir, stir, stir and don’t cook it too fast. 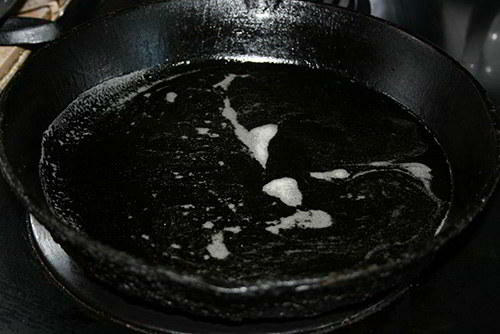 You can control this by lifting your pan on and off the eye of the stove. 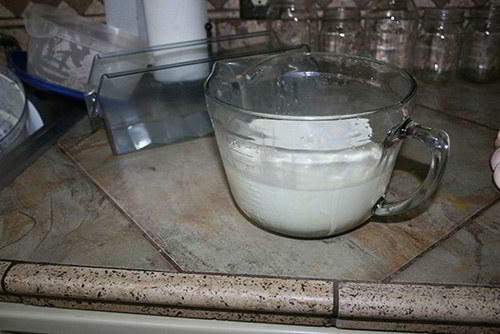 You want to brown the flour slowly without burning it. I had already put 5 cans of the mushroom soup along with 5 cans of water in a pot to begin warming. I think this was almost 2 quarts. Trust me again. The recipe doesn’t say how much gravy to make but you are going to need to make a lot. When I make this again I will try to get a good measurement. I had to make gravy 3 times during canning and even ended up using two more cans of soup than the recipe called for. 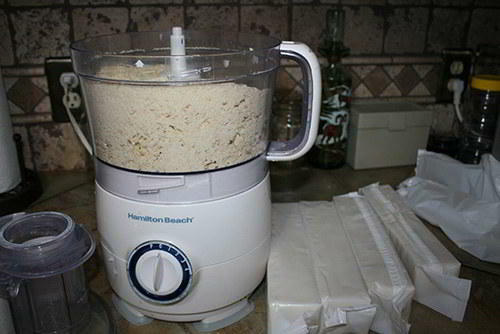 I added some of the mushroom soup mixture to the browned flour. Be careful…it gets angry during this procedure. Keep adding and stirring and things will calm down. I then added my base from the skillet to the pot of mushroom soup, stirred it in well and simmered while I reheated patties in the microwave. I totally forgot to take a picture of filling the jars but you put a patty in the jar, cover that with the gravy mixture and then another patty and more gravy until the ingredients are one inch from the top. I got 5 patties in a jar. I only did one canner load Friday evening as it was getting late. Sunday I finished everything, although it took me all day. I pulled the last canner load out around 10:00 PM. This recipe made 142 patties! I canned 28 quart jars and the breakdown in cost is about $2.25 a jar. But the thing that puts a smile on my face is we have 28 (27) more meals-in-a-jar added to our preps! This article was written by Mama Bear and first appeared on Challenged Survival. She also wrote a follow up a year later describing how the canned goods held up. You can check it out here. Check out U-Tube. There is a ton of vids on canning. Go to YouTube. Search “canning”. There will be hundreds of tutorials on canning. Ball – a company that makes canning jars and lids has a great book. Also if you buy the pressure cooker for canning – availabale at walmart, it has a book that has all the instructions and even recipes. you should have the pan to can under pressure for some foods and a big canning pot for things that just need to be boiled in the jars for a while. its not as hard as it seems and it is sooooo satisfying! Ran by education centers and the Department of Agriculture. Loads of info on canning, drying, pickling, etc. Go to Wal-Mart and buy a HOME CANNING book/ Good luck. best to het a pressure canner, not just a pressure cooker. the canner is BIGGER, there are books to buy also with all the instructions you will ever need / good lick. Once you cook the parties up you out them in the freezer. You don’t face to can them unless you are Amish. This sounds great, I never thought about this, I will defineatly try this, I look forward to it!!!!! Thank you so much for this recipe!!! Did you use a pressure canner or eater bath and how long did you process. ALL meat should be done in a pressure canner. I would like more on the canning, sealing and time. What method did you use to do the canning – boiling water or pressure canner (include the pressure used.) What was the processing time used for the method used. Meat (protein) of ANY kind, must be pressure canned, for at least 90min. 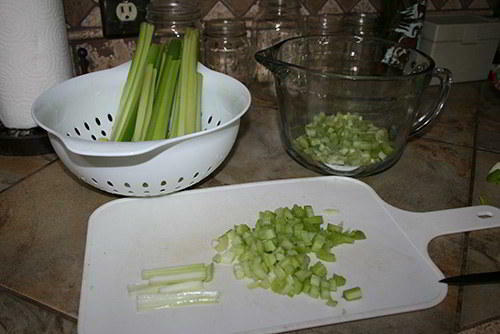 This method also applies to all vegetables, however you only need 30 to 35 minutes for them. Fruits, tomatoes and pickles may be water-bathed. You ABSOLUTELY MUST use a pressure cooker! Hot water bath canning method is only safe for some highly acidic foods like tomatoes. If you are not an experienced canner, it would be best to become one before canning meat. Hey, this is great. And yes I have canned many things that are supposedly not safe to can and I am still alive also. I have to have gluten free so I’ll replace the crackers with oatmeal and the flour with a gluten free version. About 2 years ago I canned a bunch of ground beef to get it out of the freezer to make room there but didn’t make patties. This is a great idea. Thanks for the inspiration. I’d like to know the prep you followed before you canned the ground beef. For example, did you cook it, season it, etc.? I, too, frequently can meats. For ground beef, I simply cook it, drain it and pack it into jars followed by beef broth and a little salt. 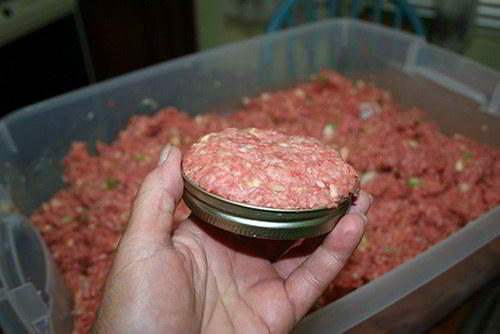 If you pack raw ground beef into a jar and then can it, you’ll get a solid chunk. 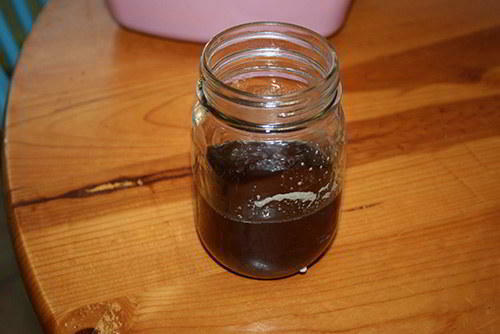 For beef cubes, like those used for stews, I simply pack them in jars raw with broth and can. Boneless chicken breasts are done the same as beef cubes. I don’t season it beyond a little salt since I don’t know what I will be using it for later on. I don’t want taco seasoning in it if I make spaghetti. You get the picture. I can at 15 pounds pressure for 90 minutes. I use 15 pounds of pressure because I live above 1,000 feet in elevation. Below 1,000 feet, use 10 pounds. I do the same. Tho I found out that using water rather than broth for canning the ground beef works quite well. I always season the meat one way or another when I use it, so broth isn’t necessary. Neither is salt. I like canning raw meat – one less step. Tho of course, as you mentioned, ground meat has to be cooked before canning. She talked about the salt and pepper aspect. Told how she baked the patties. It’s in the article. Because this is meat, it has to be done in a pressure cooker. From the recipe it’s all low acid. 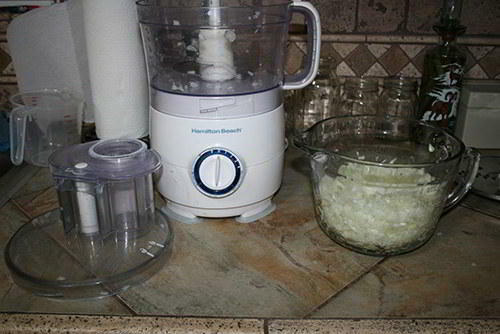 Using quart jars, the processing time would be a minimum of 90 minutes. The pressure would be determined by the altitude of your location. Is this a pressure caned food ???? Your recipe doesn’t say how long to can the hamburger and at what pressure? Could you please let me know? I might try this halving the recipe – 28 quart jars is a bit much for me – 14 is fine. Also, using “ground beef” would contain a little more fat content than a 93/7 version. I’ll try that instead. I am at a loss every time I read that meat “MUST BE PRESSURE COOKED.” However did my grandma and all my aunts and uncles survive without a pressure cooker? What was their secret? And what has changed? Climate change? I think both of these are fallicies. Please explain how all those people pre-pressure made it to propagate all us unbelievers . They had big cast iron canners with lids that screwed down. And it was done on an open fire. Today thy are aluminum canners, mostly from Presto company. The cost for a fairly large canner from Wal-Mart is about $85. 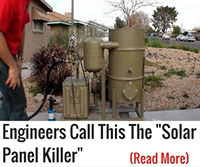 just be sure it is one of the models with a pressure regulator. They are also the best place for the bottles and there is a large Ball book on preserving foods with instructions and over 500 recipies, how long to keep foods in the canner and at what pressure to process them. If you do not have a pressure regulator, you can still do a water bath method. I have seen people in campgrounds in Alaska canning th salmon caught that day over an open campfire in a large enamel covered pot, though the pressure system is a lot safer. You can also can excess vegetables, or make stews and soups to can. The opportunities are endless. Don’t forget that venison and other wild game as well as fish can also be canned. without a pressure cooker it takes 3 hours of cooking for meat or veggies, water bath… ask a grandparent…. they know a lot ! Water bath processing only reaches 212 degrees unless you are high altitue–then temp is less. Pressure canning reaches 240 degrees which will kill botulism where the boiling water bath does not kill botulism. They were just lucky. Botulism may not form in every batch that is not pressure canned, but in this day when these cooking tools are readily available, is it worth your life or your families life to gamble on this? Not to me! your opinion is correct (sort of), however, in survival situations you have to do without the best of everything… I’ve watched my mom (age 90) can lots of stuff that way and she just gave up hunting last year… and we all lived into our 60’s + it is an art.. I am in my 70’s and my grandmother HAD a pressure canner and canned meat and fish. They are not a new invention. They’ve been around for many decades. I’m almost as old as you & learned to can with my grandmother’s pressure canner. The only reason I no longer use it is that it’s small & holds only 4 quarts. 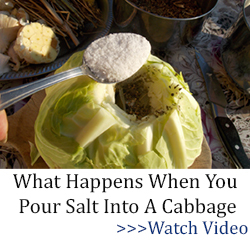 I’m much interested in this recipe, but as the author alluded, the total amount of salt/sodium is a concern. I wonder if it is for preservation, or just taste? As to how to can this, or any other foods,tj, sharon, roster and john should get a copy of the “Ball Blue Book”. New or old, it has the best, simple basics to teach yourself successful canning. As with low sodium canned vegetables in supermarkets, it is not salt as a preservative, it is the fact that the canning process kills bacteria. And that is why you bring to a high temperature for a given length of time. I have canned meats and the recipe that I used suggested a certain amount of salt. I found, when we used the first jar, that it was way too much. Since then, I don’t add any salt until I use the canned good. Salt is necessary for some items, as you will find in your canning books. My books say to can meat with broth or water. The recipes I used were for stew and I had to rinse the liquid off (a main source of nutrients) in order for us to even eat it. If the book doesn’t call for salt, don’t use it. I also have found advice stating that “whatever you are canning in a recipe, go by the time required that is the longest.” In other words, if you are canning a stew requiring broth, potatoes, carrots and beef, you would go for the time and pressure requirements of the beef as that is the longest required length of time for canning safely. Surprisingly enough, none of the vegetables came out mushy, which is what I had expected. Don’t get an old Ball Blue Book as the techniques and times for some recipes evolve when new safety data is available. Always use the most up to date information. How long do you have to boil it, and do you have to use a pressure cooker? Sounds good; I would also change out the saltines and flour. Jars of good stuff is the important point. At what PSI & for how long did you pressure can your qts? This sounds too much like the old C-rations Sausage Patties and Gravy. lf you couldn’t heat it and most of the time you couldn’t, it was disgusting. If it was below freezing. . . well, I developed a life-long aversion to that particular item, especially cold. Sorry, I avoid anything that remotely resembles that nasty dish. I would have to be starving. Your meat patties with the sour cream sound wonderful. Would you be willing to share the recipe? Marmie. Sure. ☺ I don’t have a recipe per se, I use good quality ground beef. Low in fat; my choice. Salt, chopped onions, some bread soaked in milk, bit of black pepper, some tablespoons of sour cream, some marjoram to taste. Use about half teaspoon. Did I forget anything? Oh, then make into patties, I roll them in some bread crumbs, and fry in mixture of real butter and some olive oil. Mom used all real butter, but it tends to ‘burn’ if one is not careful. 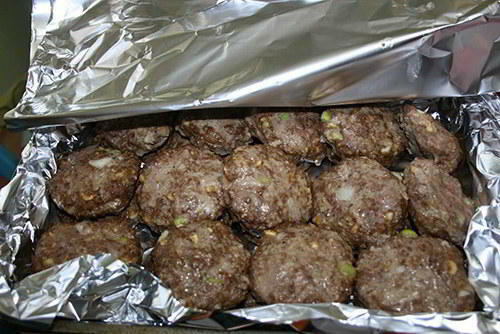 After, patties are browned on each side, take out. Make your gravy from the fat remaining. Make a rue. I add, some beef bullion for more flavor, and/or KITCHEN BOUQUET. You taste the gravy and see, what you want to add.Sometimes I add some dried mushrooms. Then I add my patties back into the gravy. I like to cook them more, to make sure the patty’s are cooked through. (slow simmer) This is how mom did it. The patty’s would be in the gravy. 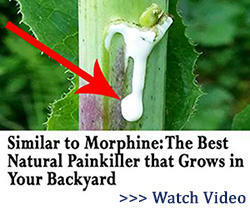 I would guess, just use your meat loaf recipe and add the sour cream and marjoram. The sour cream gives it a fresh taste, and the marjoram has a bit of mushroom taste to it. Sometimes if the patty’s are cooked through, with no pink, I will eat one, just as is. Would be great as “lunch meat” on bread too. A bun? Questions? P.S. JUST REMEMBERED! Sorry. I add one egg but I live alone so, I don’t make a bunch, for a family of four, put in two eggs. One slice of white bread and milk to make soft. Keep in mind, ideally home canned low acid foods should be simmered for at least 10 minutes. If one is truly prepared, that should be possible. You don’t need to eat it cold. enough food for 10 of us, plus big family dinners, and also have to family and friends in need. That also includes gathering med plants, fruits and berries. I don’t remember ever having a pressure cooker until around 1958-59. It blew and we were cleaning need off out ceiling and walls all weekend. As for Amish…….they all have cell phones, and phones. Electricity in the barns if they want to sell grade milk at a decent price. Otherwise the milk is dirt cheap and can I my be used in overly processed areas….ie, dried milk, or it’s not safe. Many have had refrigerated freezer trucks around, and some share freezer and cost. Also for many many years several buturing, processing plants had “for rent” freezers. Much like storage units now. We worked hard, but always ate well, and yet none of us were overweight. Happier times. We always had plenty of morel mushrooms, venison, rabbit, blue gills, trout, base coho salmon…….plus. And I do miss it……….. I have never canned anything in my life. It surprised me that after all of that work, the canning method and process was never mentioned. I loved this and am certain I will replicate it. I have on hand 3 dozen 24 oz. jars I bought specially for an experimental recipe and I would start with them as they are the same height as the quart jars and I would put a single burger and gravy into wide mouth 1/2 pint jars as I often need a quick meal for myself. One 1/2 pint jar will rest atop each 24 oz jar in the same canner load. I would never try water bath canning on something with this low of acid content and would can @ 10# the first time, with monthly testing, I may bump the pressure up to 15# for longer shelf life. Mine would also have some jalapeño and other peppers as well. One really ambitious could go top the auction in the fall and buy an old animal of the ‘Cutter/Canner’ grade make a group project by performing the full butcher process grinding. cutting and souping up an entire animal. With outdoor temperatures hovering just above freezing, you can spend two to three weeks. We allowed one of our animals to hang two weeks before one was even cut up by our neighborhood butcher. When hanging meat at home, you just want to make sure things stay very cool and you are well past the fly season. i have hung deer too but you are safest if you process meats as soon as possible. Check with a local butcher and find out what temp he keeps his cooler at, before you decide to hang meat for a week. Once botulism has set in to a food, no amount of cooking is going to make it safe to eat. Survival requires you to think about what you are doing. 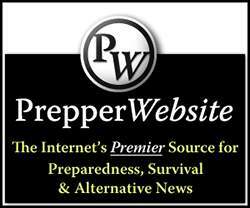 Being prepared means do it right so you are ready when the SHTF. If your prep is done properly, your food should not be something you have to worry about it being safe to eat or not. Re: botulism info from Chief Cook and Bottle Washer. This is WRONG info, please see below. Altho nobody would eat food from a swollen can during normal conditions, don’t toss it out when starving – SEE BELOW on what to do. Chief Cook and Bottle Washer is CORRECT about botulism and not being able to cook it away. But if you open what looks like a perfectly good jar of food without visible signs of spoilage of low acid food, how do you know if there is botulism in the jar. You don’t. And it is a life threatening proposition to eat food containing botulism even if you cook it well which would not be possible with this type of recipe. Can you imagine what this recipe would be like if you COULD boil it 20 minutes? The freezer is still the best choice for this tasty sounding recipe. Not a canning jar. BTW, I have yet to see a processing time or method posted here. That suggests that there is less honesty in this post than I would require. Several have asked without receiving an answer. Any one with any canning experience would know pressure and time. For meat it is ALWAYS 75 minutes for pints, 90 for quarts at the pressure for your altitude (where I am at that is 10 pounds with a weight, 11with a gauge). chief cook and bottle washer; No amount of prepping will prevent, an occasional botulism occurrence. So, you still need to be careful. No need to alternate patties/gravy as after 90 mins in canner, the gravy will be everywhere anyway. 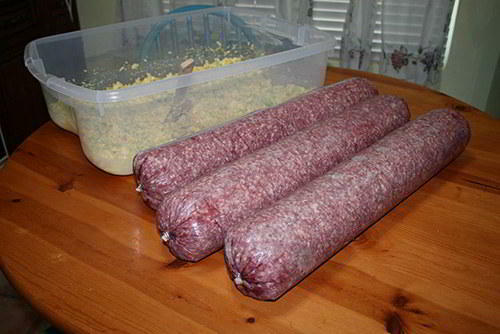 Re: canning ground beef: EXTREMELY versatile! 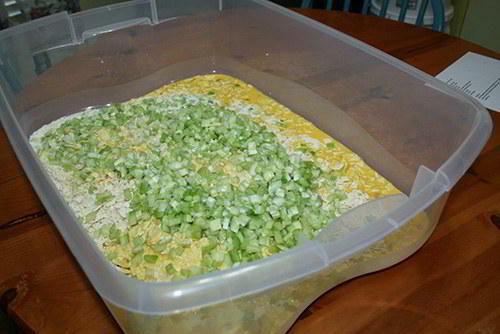 Raw pack best as it makes a big “loaf” / chunk which can be sliced for lunch meat, crumbled for spaghetti, biscuits/gravy or over spuds, mixed with noodles for casserole, etc. Other interesting add-ins: mushrooms, green chili, green/red peppers, diced pickles (not bad! 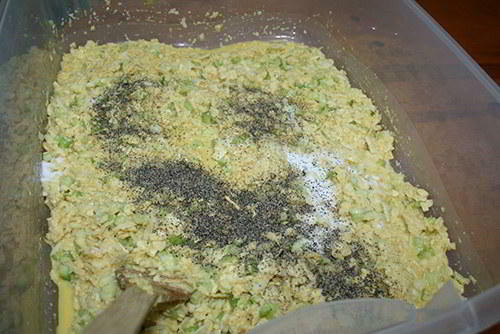 ), diced olives, horseradish, etc. Re: botulism, yes, of course its toxic if eaten straight out of a swollen can, etc. However, if you’re up against the wall and starving, all you need to do is cook it well, and its edible again. The botulism toxin is NOT a “bug”, but is a product of an anaerobic bacterium that can live without air. This toxin is extremely heat sensitive and it rapidly degrades when cooked. This completely neutralizes the toxin. That comes from a veterinarian who knew about this and had to resort to this post WW2 during starving conditions. 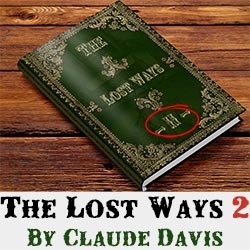 Its a good piece of knowledge to squirrel away in the back of your mind for shtf times. Starving? That swelled up can of beans CAN become food IF you know what to do with it: cook it to boiling, then eat it. It beats eating your shoes, or worse. I have to disagree with you on the botulism. My mother got botulism from eating tainted soup. The can was not bulging. There was no indication that the soup was bad. And she had boiled it before eating it. Mom would cook the life out of everything even canned goods. It was only after she had consumed the soup that we found out about the contamination. It took her months to recover. After caring for her during that time and seeing what she was going through, there is no way I would consider eating contaminated food, especially during an SHTF event. I’ll drink pine needle tea and eat dandelion greens before I’ll eat spoiled food that could kill me. I appreciate your comments regarding mine. The organism that causes botulism is actually a species commonly found in soils, and it normally has an aerobic (using oxygen) metabolism. For this reason botulism is usually tied to vegetables, not meats. Hence the classic example of the bulged can of beans. Offhand, not knowing more info re: your mother’s case and truly not trying to dream up excuses for the food industry, I would be more inclined to suspect something other than botulism, perhaps a compounding factor. I’m not familiar with specific tests or diagnoses of this condition, but long recovery times are typical. There are 7 different kinds of botulism and effects differ. My previous comments were solely aimed at the known heat sensitive characteristics of the botulism toxin (Wikipedia) inactivated at 176F. However, in the canning industry, there are unfortunately countless possible sources of spoilage, even before the cans go into the sterilizer. The possibilities are literally endless: spoiled ingredients, agro-chemical contamination not sufficiently cleaned, heavy metal contamination from equipment lubricants, porous can seams, faulty can linings, acid foods reacting with can liners or metals, etc. Even baby food in small jars has in cases been found loaded with heavy metals, pet food to. Any of these can trigger serious long term consequences. You say the can was not bulging, which makes me think it wasn’t botulism alone. Here’s why: in cases of “typical” botulism, the botulism organism is alive and well inside the can. The reason the can swells is the organism “exhales” CO2 in its respiration, just like we do. In some cases, can contents with still living organisms will actually appear frothy from the CO2 slowly building pressure. Over time, this reaction comes to an endpoint, but the toxin is there. Contrarily, chemical contamination or reactions will not normally result in can swelling, but end effects are just as serious. Example: many agro-chemicals aim to affect an insect’s nervous system, similar to how botulism works. The botulism bacterium is in the Genus of Clostridium, which is a known culprit of numerous severe illnesses, not just “botulism”. Due to their ability to adapt to vastly different living conditions, they are hard to get rid of and treat. I sincerely hope your mother was able to recover completely. Unfortunately, in spite of doing everything right, she had no way of telling that particular can was contaminated. The same could have happened to anyone. The decision whether or not to risk eating a bulging can, even if boiled, entirely depends on one’s options. We normally have options, but masses of starving people don’t. They will do unimaginably desperate things to survive. 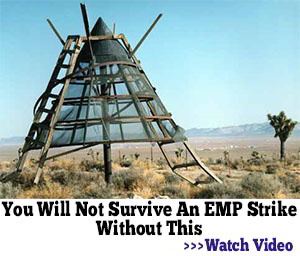 These are conditions way beyond a “simple” shtf event. Can you imagine yourself with thousands of others forcibly confined on a plowed field, no shelter in rain and snow, very little water, “sharing” one single pat of butter among 8 grown men? I cant. Thats where swelled cans of beans (boiled unopened) get devoured as a delicacy. I’ll never forget my father telling me of this. It was Campbell’s soup. They had a huge recall in 1970 because they found botulism is several batches. Unfortunately by the time they discovered it and issued the recall, Mom had eaten one of the soups with matching batch number listed in the recall. Botulism is what she was diagnosed with by her doctor who was not aware that she had eaten the tainted soup until after he had diagnosed her. All I know is what Campbell’s had claimed and what the doctor had diagnosed. Today, I go by the adage “when in doubt, throw it out”. I don’t take any chances. I’m also learning about wild foods. Living in a very rural area, there’s an abundance of wild, edible plants around, plus I have several things growing in my yard that look like simple ornamental plants but are, in fact, rich food sources. So that bulging can of beans looks even less appealing. To date, I haven’t found any commercial canned soups, stews, meats that I want to eat. Sure, I used to, but that was before I learned to read the ingredients list. There are sooo many chemicals in these products that I’ll gladly let someone else eat my share. I used to buy canned meat from Argentina, seemed a good product. Then I found out that in all of South America, salt is laced with fluoride, like iodine here in US. Iodine is a nutrient, but fluoride is a neurotoxin successfully used to stupify concentration camp inmates during Hitler’s era. So in buying canned meat from Argentina, you get a dose of neurotoxin fluoride. Isn’t that kind and considerate of the manufacturer??? We cant be too careful nowadays. In 1970, we didn’t know about all the garbage in food that we do today. That is excellent advice! Most people have the notion that even if they get botulism poisoning it is no big deal and you will recover. WRONG! In a SHTF situation, where are you going to find the needed care of an Internal Med MD and an ICU to maximize your chances of survival? What if this is eaten by a child who has even less tolerance for botulism. So stop, folks with the anecdotal stories about eating spoiled food (the person in the story didn’t know what the contaminating agent was) and so on. Those stories are just that–stories often with poor memory. BE SAFE! JeElllen; I recovered, husband recovered, and even the kids. Not everyone, will get, as sick as your mother. Each person, will do what they want. No, I am not recommending eating poisoned food. It was like having a very bad case of the flu. And we only had one bathroom! I had to put the kids in the bathtub sometimes. What would you do, when there is no medical service and you still get this toxin in your food? None of us went to a doctor. One does the best they can, with the information they have. I suspect it was mom’s canned red cabbage, that was already prepared, with fat, onions. I was taught by my parents that things from a swollen can are safe if boiled at a full rolling boil for 20 minutes. Dad learned that in college classes. Double BA degrees administrative dietition. They both survived the depression. Mom supported herself, her mother and a nephew. They had a garden, canned and dried foods, ate damaged goods from the grocery store where she worked. Used any damaged items. Grated hand soap to do laundry. Survived and worked together. Yeah and they told my dad that cutting asbestos siding with a skill saw was safe too. It wasn’t bad for you back then I guess. In a grid down how you gonna beat 212 degrees? Since you need 240. No, just do it the best recommended in 2018. Not what great grandpa’s cousin was told by a talking mule on a dirt road by a leaning oak tree. My neighbor water bathed deer meat and liked to killed off that whole hill. My mother cans almost every day in a PRESSURE CANNER. Never a problem. She cans and sells. That’s why so much use. Home canned foods that might contain botulism have to be heated (boiled not simmered or baked) for 20 minutres in order to kill the botulism. If you have a spoiled jar (seal is broken, gas bubbles in the jar, etc.) you must be very careful in how you dispose of it so as not to contaminate anything. The jar must also be disposed of. Not if you in a place that you don’t have to leave. Having a stocked bunker full buried somewhere will be good to dig into a year after grid down. I’ll takee that nice canned stuff over rock ball pemmican. Pemmican has it’s place. But I’m gonna have the good stuff as long as possible. How long and at what pressure did you run the canner per cycle? This recipe is loaded with NO NO’s for home canning. 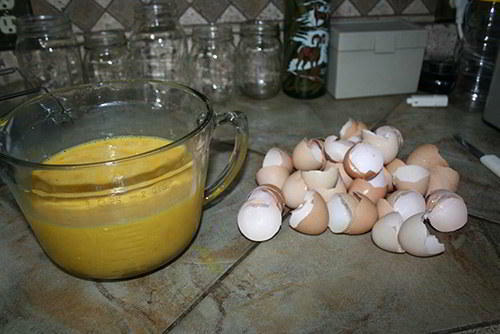 Eggs, flour, mushroom soup and crackers are not allowed under safe canning practices. This recipe might taste great but it would be better and safer if one froze the finished product than trying to can it. You will note that no canning method or times are given in this post. That in itself should set off red flags. When it comes to preserving meat, our options are limited. In a semi-dry or “bone” dry form, its life depends on how well we can keep it from oxidizing, aka: getting rancid. Jerky, pemmican, “Slim Jims” etc. all keep well, but not in terms of 20 year storage. 5 years might be pushing your luck before they taste “off”. This includes dehydrated meat in vacuum bags. Other options include metal cans or “canning” in glass jars. I’ve inquired about canned meat in the steel cans and the company claims 20 year life. Thats pretty good for shelf life, but the cans are made with BHA/BHT containing can liners. This is what turns little boys into little girls, so I don’t like this product. I really don’t consider a freezer a viable option for significant shelf life for two reasons. 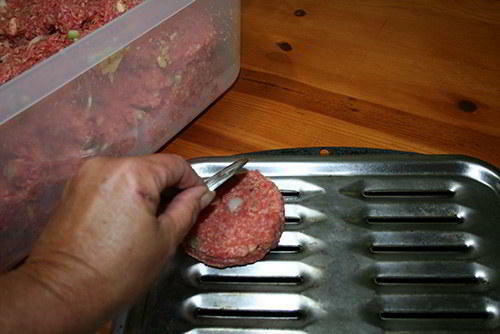 1) Freezer burn (drying) can be postponed, but not avoided, and that will ruin the meat. 2) I don’t like depending on an electrical gizmo to keep food fresh as everything spoils in at most 3 days when power fails. 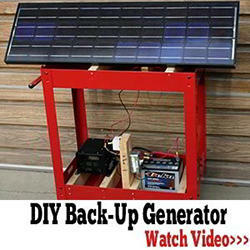 If you have a solar freezer, then this might be a better option. So whats left? Home canning, which has several advantages: we control ingredients, we control sanitation in processing, and it contains a lot of water, which makes it ready to eat w/o need for adding water or re-hydrating time. In my opinion, glass jars would also attain 20 year shelf life IF we use a heavier duty lid than the normal steel canning lids with thin seals. Meat contains fat, which – like it or not – over time degrades the seals, which then compromises the seal and sterility. In 5 or 6 years, these seals give out and we’re faced with using jars up fast as possible before they spoil. However, there are other options for jar lids. There are re-usable glass (or plastic) lids with very thick rubber gaskets, which would likely last double the life of standard metal lids. This puts us up around 10-15 year life for meat, and I don’t expect any better performance by any means. In terms of taste, in my opinion its all in the spices you use. However, overcooking or processing at higher than necessary temps turns the best meat into textureless mush. So follow directions to the T when it comes time to pressure can your jars. At 15 lbs pressure, the water temp inside the canner reaches 250F (adjust according to elevation). Processing time normally runs about 90 mins for meat, much less for veggies. And don’t skimp on the spices. I like hot spices, which seems to improve taste a lot. Not to forget: allspice, rosemary, capers, shallots, jalapeños, curry, bay leaves, etc. Do take note that pressure canning really pulls a lot of flavor out of spices, and you need to tone down – for example – pepper or it will make it too hot. Just to compare, try out the best canned meats you can buy and that might be something to aim for in home canning. This might be the Hormel beef chunks in the little short cans. These small cans contain flour in the gravy, which doesn’t affect sterilizing under pressure and high temps. Not a bad taste, and texture is good. FYI: this is all raw packed and cooked in the can in the sterilizer. Same goes for the “Dinty Moore” beef stew, which is a Hormel brand of beef stew. Similarly, we can add potato chunks or small carrots to our jars for a complete stew. Canned chicken has never impressed me. At best, it might be ok diced into soup, or “hidden” in some sort of casserole. It will never turn into a solid hunk of fried chicken, and forget putting it on the barbie. Pork is more versatile canned in chunks. It can be made into all sorts of “meat and gravy” dishes, from Hawaiian pork, sweet and sour pork, with mushroom onion gravy, etc. or shredded into pulled pork with bbq sauce. Those aren’t bad options. Ham isn’t bad canned into jars. 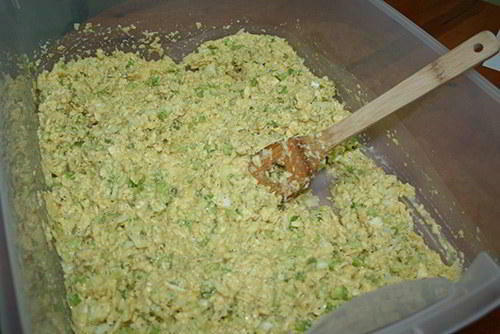 It turns a bit soft, but can be used to fry as a slice, or used in smaller forms diced or chunked. Canned bacon works great. Just raw pack about 1.5 lbs per quart in about 1 inch pieces. After pressure canning, some of the fat and water separate out, but just mix it up when using and its all the same in the frying pan. I prefer raw packing my jars as this cuts down the total cooking time. If one loads pre-cooked chicken into jars, after 90 mins in the pressure canner its almost mush. However, raw packing results in better texture as its not cooked as long. One thing I haven’t tried yet is smoking meat before canning. That might add a bit of flavor not normally found in canning jars. I’m thinking of sliced brisket in jars, fresh out of the smoker. If one were to cut down the cook time in smoker, then it would tenderize while in the pressure canner for 90 mins. Same with sliced pastrami or roast beef, maybe a pork shoulder to. Corned beef might be good candidate for raw packing in chunks. I have canned slow cooked (24 hour) brisket. Delicious! Is the meat you are canning grass-fed or the cheap stuff from places like Wal-Mart? What the animal eats and whether or not it was loaded in antibiotics makes a world of difference in the taste of its meat. When I’ve cooked something with meat from Wal-Mart, it definitely has a funky smell versus using meat from a better source. While I’ve never noticed an overcooked taste to the meats I’ve canned, there is a different texture to beef and chicken will fall apart easily after canning. 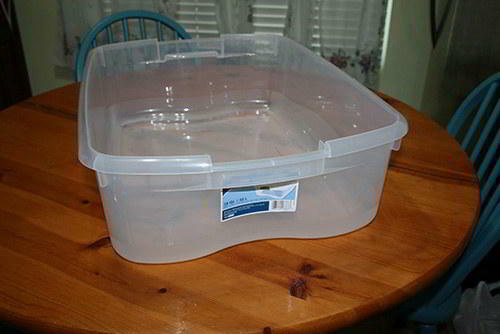 That’s great for soup, casseroles, tacos, etc. I can more ground beef and chicken since that’s what we use the most of. Occasionally, I’ll do beef chunks. I’ve never canned pork. I vacuum-pack and freeze pork because I’ve not had enough to can. Good quality pork in quantity is hard to find here. As I said in an earlier post, I brown the ground beef, drain, and pack it in jars covered with broth and a little salt. 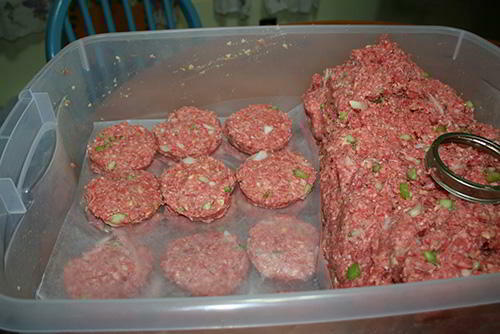 I don’t do raw-pack ground beef because I have no use for a big chuck of meat like that. Beef chunks are raw-packed. Chicken is raw-packed with broth and a little salt. I use about a half teaspoon of salt since the broth already contains some salt. I don’t know what to tell you about the overcooked taste. That’s more your personal preference. But do try grass-fed beef for canning. Maybe do a small batch of about 3 jars. When browning the meat, cook it just until there’s no pink or maybe under-cook it slightly. It’ll finish cooking in the canner. Hope this has been some help to you. Homesteader; Walmart has halla meat. which is torture of the animal and that could be the funky smell.I have not bought any meat at Walmart for years. Halla meat is muslim. I know not spelled correctly, close enough. Don’t beat me up! Wow – didn’t know that Older Prepper, thank you for the info re: halal at Walmart. Yes, halal meat IS torture, and its the same as “Kosher” slaughter. For those who don’t know what this is, its killing cattle by cutting their jugular vein and letting them kick and scream until bled out and dead. Lately, the wonderful butchers don’t like listening to a cows death struggle so they rip their wind pipe out so lungs cant hit the vocal chords. How thoughtful and caring. Same with chickens, veins get cut open and they struggle until they pass out. The American Humane Society hasn’t had the balls to go against this cruel and inhumane practice in the US. In most of Europe, its illegal and has been for a century. For those unaware, normal slaughter for cattle entails a shot in the head, or similar using a stun gun which shoots out a nail driven into the head. Its over in a split second. Then they get bled out. Kosher / halal (hallal, or halaal) is outdated torture – don’t support it!!! Older Prepper, the last time I used Wal-Mart meat was because I didn’t want to have to make another stop. It was a BIG mistake to use it. The casserole was almost inedible. I didn’t know that all the meat was halal. I did know that Butterball turkeys were. That was made public about 4 or 5 years ago. I usually go to a meat market that sells only locally-produced, grass-fed meats. Secret for me is to undercooked the chicken or beef about 25% since 90 plus minutes in the pressure canner will finish it off nicely. I live at over 6000 ft. So all pressured canning requires higher pressure. I don’t thicken things I’m canning. Just use broth, water or pickle solutions. I can veggies, soups, stews, fruits( water bath), pickles(water bath) including any small green or ripe tomatoes for a relish tray and a tomatillo salsa with NM fire roasted green chilis that we eat over eggs or on green chili enhiladas st. .
You know, in general, why put so many ingredients in meat? why not wait, till you decide what to USE it for? Just a thought. If this is for survival, I would wait with salt etc. Could you give sources for your research to support your conclusions. Although the ‘official’ canning site by the US Govt states that those things mentioned are not ‘safe’, many canners have found that (like a great many things) the US Govt can be wrong. 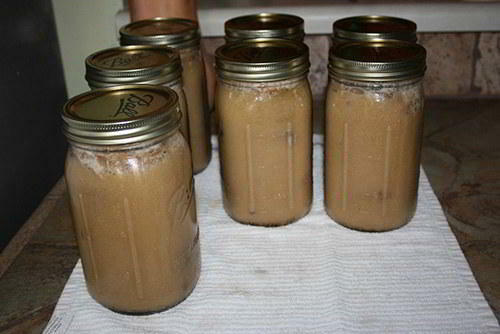 I’ve used flour, bread crumbs (similar to crackers) and mushroom soup in canning – WITH NO PROBLEMS. I canned boneless pork chops with mushroom soup gravy, and even TWO YEARS past their ‘good’ date, the jars are still good – and makes a great quick, easy dinner over rice. 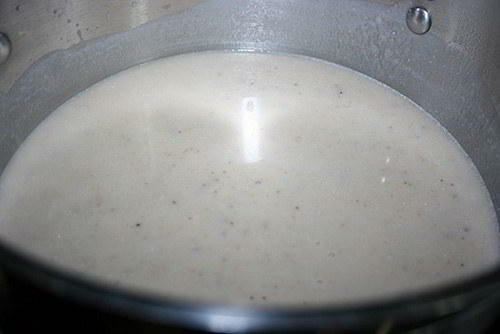 After all, mushroom soup is SANITARILY CANNED and still sterile until the second you open the can, bring it back to a boil for ‘gravy’, and pour it boiling hot over the meat in the jar. I wouldn’t do this with FRESH mushrooms, unless I took other steps. I’ve used bread crumbs in meatloaf, canned the meatloaf, and it was delicious. I’ve also used flour in a roux to can gumbo. THE MOST IMPORTANT THING IS TO KEEP ABSOLUTELY SANITARY CONDITIONS AND PROCEDURES. Use the processing time for the ‘longest processing’ time ingredient (i.e., meat). Be sure jars, lids, rings, and all things that touch the ingredients – including counter tops, towels, etc – are wiped down with a bleach solution. Also important – ALLOW THE CANNER TO ‘VENT’ FOR THE PRESCRIBED 10 MINUTES before closing it up tight to pressurize. This pushes all the air out of the canner, and the jars, so they can properly vacuum seal – keeping all the liquid in the jar, instead of boiling out during the processing. If you’re ending up with all green beans and no juice, it’s because you didn’t VENT! glad you canned meatloaf. so did I and it was so good. someone said you can’t can it with eggs and bread in it. SO WHO SAID ?? When a recipe has been deemed “unsafe” it sometimes means that the recipe has been extensively tested and found to occasionally fail, but more likely it hasn’t been fully tested yet. It takes a massive amount of time and effort to safety-test a recipe, and there just hasn’t been the money and time available yet to test every possible ingredient. The problem is, when you read that something is unsafe, you have no idea which scenario you are looking at. There are plenty of perfectly safe alternatives- I would rather be safe, even if my SHTF diet seems a little boring. The reason you find flour, rice, egg and other “forbidden” ingredients in commercial foods is because their cooking equipment can sterilize the food at a much higher temperature than you can achieve with your domestic pressure cooker. “Halal”, I was told by a Middle Eastern shop owner, simply means that the animal is killed in a prescribed manner according to their religious beliefs. I don’t believe there is any difference, during the handling of the carcass and processing, than normally done here. I personally am not sure how ‘kindly’ the process is… I’ve seen videos of a ‘halal’ butcher shop, and how the lambs were handled there – and a video of a camel being butchered. It was, to say the least, much less human than our ‘stun gun’ first process. If it is true that the less fear and trauma an animal suffers, the better the quality of the meat, then the ‘halal’ method might, indeed, make a difference in taste. Those times ONLY APPLY TO RECIPES SCIENTIFICALLY TESTED. They do not ensure safety of recipes that contain ingredients like eggs, cracker crumbs, mushroom soup or flour or dairy products! I don’t get why people accept what some person without credentials says and thumb their noses at the scientists who make the rules based on research! Why is that? Because scientists change the rules all the time. Eggs are good for you, eggs are bad for you. Don’t drink too much coffee it can be bad for you, drink all the coffee you want it is good for you. Etc etc etc. also, it is scientists that come up with all these drugs that are supposed to help us but have a list of side effects as long as my arm. If a commercial selling a particular drug spends more time warning of side effects as opposed to talking about how good the drug is, I don’t want it. Common sense will go a long way in food prep. And just to set the record straight after reading all these comments, if I think food is tainted it is going in the round file. Hunger pains is far better than severe illness especially if there is no medicine or medical care to help out. Your comment is illustrative of the inherent problems with the scientific process. Conclusions are malleable as new data comes in. Another major factor (which adds hugely to the problem) , is that we have been told “not to judge” and so people no longer feel social consequences for willfully lying or stealing. (By necessity the camera has now replaced the moral conscience.) Dishonesty appears rampant in academia and other research environments. This has seriously crippled the application of the scientific process. Conclusions waver rapidly back and forth, and as we see the conflicting claims, we learn not to trust what “the scientists” say. The loss of credibility has been earned. Don’t forget about the commercial of the hot girl in a bathing suit where the young boy is talking about how he wil grow up to be a young strapping man because he drank milk because it does the body good. Well, milk is not viewed as that good these days. Two questions … how long did you process the jars and did you use a water canner or pressure canner. The recipe looks wonderful. We can almost all our own foods but we’ve never done meat with gravy. Thank you!! You didn’t mention how long and or what gauge to can. It would be wrong to assume but most of my recipes for meat call for 90 minutes at 15 psi for quarts. I would really like to try this but skeptical without knowing for sure. I bought a All American pressure canner because it has no rubber seal to go bad. It has a metal to metal seal and you just wipe around the seal surface with some Crisco or oil. A Ball Pressure canning book came with the pressure cooker. If you plan on pressure canning “YOU NEED TO READ THIS BOOK”. Folks I have listened to the grand Ma’s on canning but this BOOK will give u many details that Grandma didnt mention. This BOOK is full of recipes and Detailed canning instructions . Get the Ball book you wont be sorry ! my grandmother used to oven can everything, even meat. only once I tried, chicken, then went on vacation; bans were all ready to burst & some lids did, when I returned. However I was curious if other meat, anyone has successfully oven canned. easiest, and I don’t have a pressure canner., only water bath canner, which comments above say doesn’t get hot enough. thank you. can you oven can meat? Like water bath canning, oven canning doesn’t get hot enough. You need the combination of both heat and pressure to properly – and safely – can meat. My suggestion is to invest in a good pressure canner. It is cheap insurance when it comes to your health and your family’s health. Salmonella, botulism and anything else that may take up residence in improperly canned meats are not fun. thank you. My grandmother oven canned and meat came out ok, but in her old age, I followed her directions, tried to oven can chicken, and it all got something where it oozed out of the cans within a week. Pressure canned is worth the investment. If you have a pressure CANNER you will know how long and how much. If she wrote bout driving somewhere you people would be asking “hey you didn’t tell us how you drove the car”. I have half a dozen canners. All bought used. Every one I have and ever even looked at has the canning book in it. This article was about what she canned. You should know about canning instead of making all these Dr Ford accusations comments I been reading. Which really exposes your ignorance. She said it had some no can ingredients in it. This is about what she did. She didn’t say you had to do it. Did a bus load of thugs with clubs come to your house to enforce you cooking it? Red flag comments? Suspicious? I’m already dreading dealing with folks like you all in the future. How long do they last being canned?